The Supreme Court today dismissed a plea seeking scrapping of life-long pension and perks for Ex-MPs and other benefits for their families. "We are of the view that these questions are in the orbit of the wisdom of the Parliament in choosing/changing the Legislative policy whether the various benefits created under the impugned provisions are rational having regard to the affluent financial status of some of the MPs or the poverty of the millions of the population etc. These are not justiciable issues", said the Bench. 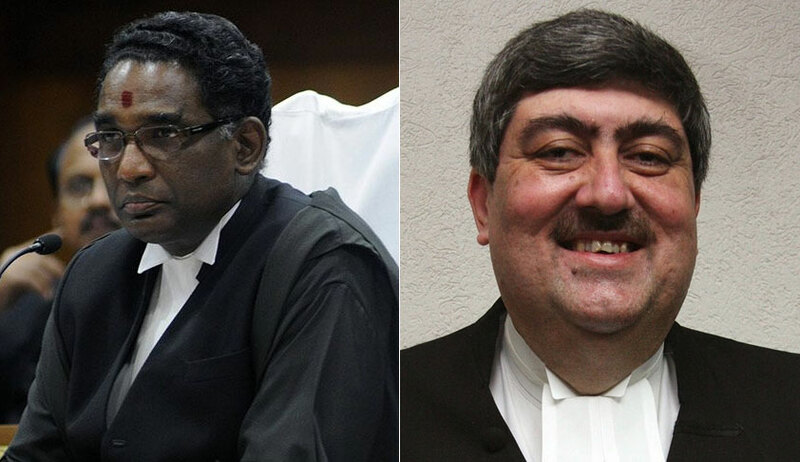 A bench of justices J Chelameswar and Sanjay Kishan Kaul was delivering judgment in an appeal filed by NGO ‘Lok Prahari’ against the Allahabad High Court order dismissing its plea alleging that pension and other perks being given to MPs even after demitting office are contrary to Article 14 (Right to Equality) of the Constitution. The petition had challenged the constitutional validity of the law and sought its scrapping. “Parliament has no power to provide for pensionary benefits to lawmakers without making any law”, it said. Admitting the appeal on March 22 last year the bench had sought responses from the Centre and Election Commission of India. Notices were issued to secretary general of Lok Sabha and Rajya Sabha also. 82 % of the lawmakers were "crorepatis" and "the poor tax payers should not be made to bear the burden of their pension, including their family pension", the petitioner NGO said. As the plea sought a permanent mechanism to fix and revise the salary and allowances for MPs and MLAs, the bench had said lawmakers increasing their own salary raised an "important ethical and legal issue" which needed adjudication. On March 7 when the court reserved order in the matter, the Centre said that the entitlement of former MPs to get pension and other benefits was “justified” as their dignity has to be maintained even after they complete their tenure as parliamentarians. Attorney General K K Venugopal told the bench that MPs have to “nurse their constituencies” and contest elections every five year and for this, they have to travel in their respective constituencies. “Parliament is the law-making authority. Parliament has to ensure that so far as MPs are concerned, they can function effectively. MPs have to go for elections every five year. They have to go to their constituencies and travel. So giving pension to them is justified.”, he had said. AG told the bench that the Centre has “given up” the idea of having an independent mechanism to determine the salaries and allowances of the MPs. He however told the bench about the Finance Bill 2018 which contains provisions regarding salary and pension of MPs and also about revision of their allowances after every five years starting from April 1, 2023, on the basis of cost inflation index. “Salaries, allowances and pension of the Members of Parliament Act, 1954 was enacted in pursuance of Article 106 of the Constitution. The Legislature through amendments made to the salaries, allowances and pension of the Members of Parliament Act, 1954, has legislated to provide for pension and other facilities to the former members of the Parliament including their spouses, dependents and companions”, said Lok Prahari’s petition. “Article 106 does not permit provision for pension or facilities to persons other than MPs. The following said provisions of the Act are ultra vires of the provisions of Article 106 of the Constitution,” the NGO said. The NGO alleged pension and other amenities granted to ex-MPs were “unreasonable and sought withdrawal of such facilities while questioning various provisions of the law framed by Parliament”. “While governors do not have the facility of pension at all, an MP even for a day and his spouse get pension for life. While even serving judges of the Supreme Court and high courts do not have the facility of free air/train travel for their spouses even on official tours, ex-MPs enjoy unlimited free train travel for life in AC-II with a companion 365 days a year,” the petition said. “This has resulted in the obnoxious situation where a former MP becomes an unwarranted burden on the citizens as it is their birthright to fleece the public whom they no longer represent. It has made politics the most lucrative profession,” it said.